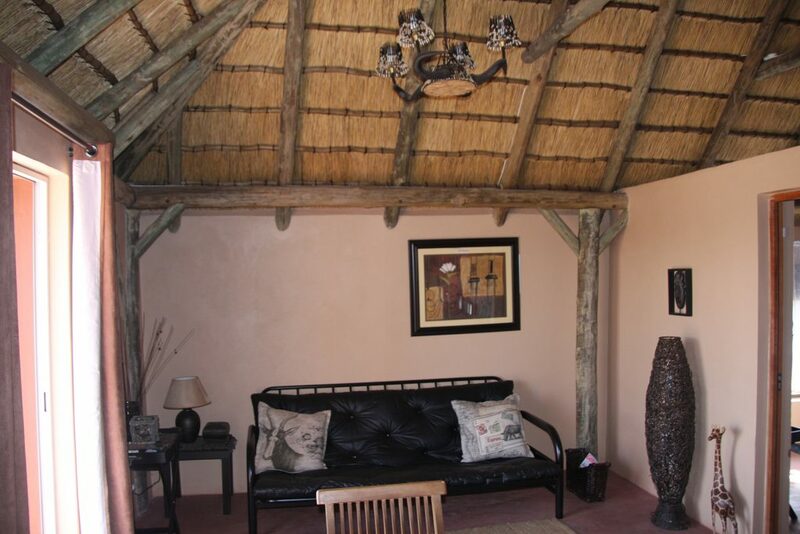 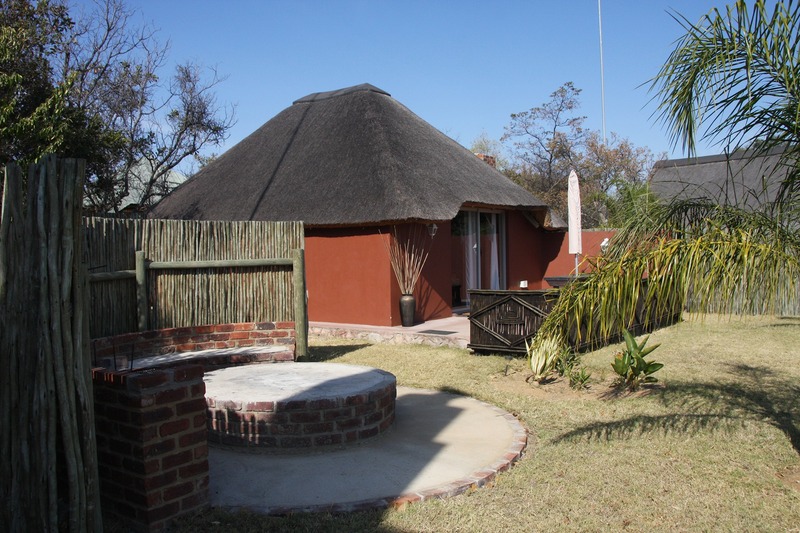 A beautiful thatched chalet with air conditioning, accommodating 2 people. 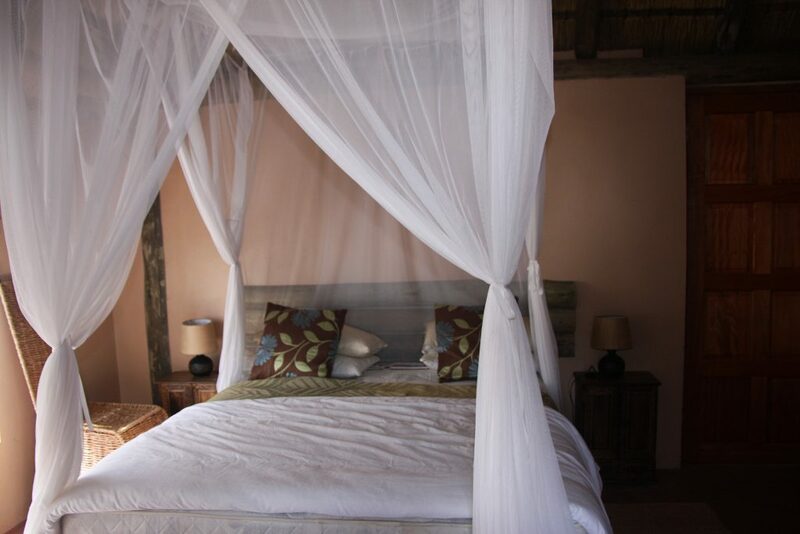 The main bedroom has a double bed with an en-suite bathroom (bath and outside shower). 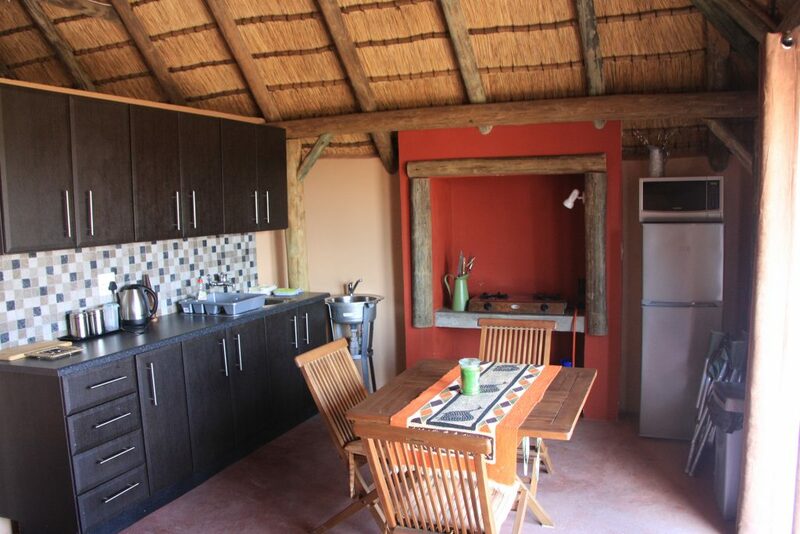 Open plan kitchen with lounge area. 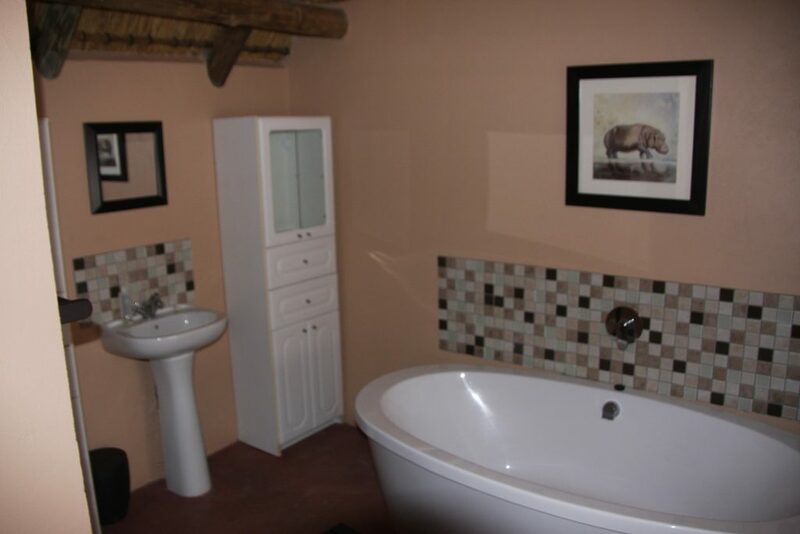 This chalet has a private splash pool with hot/cold water. 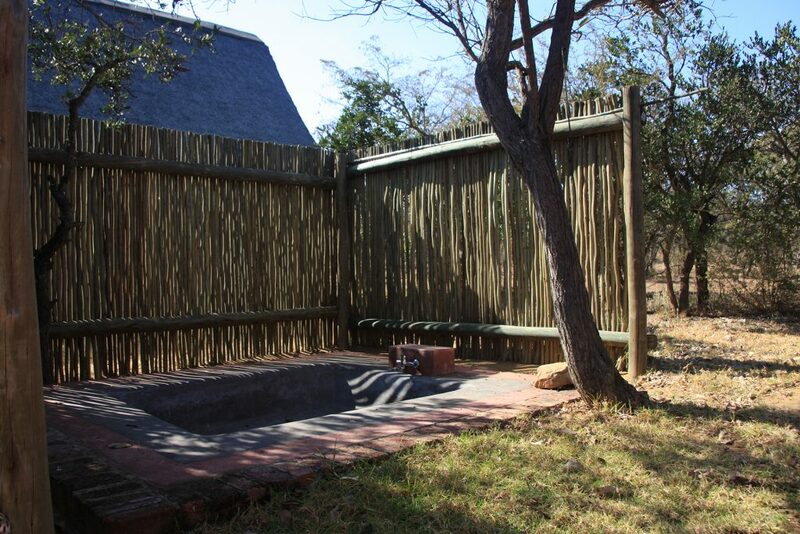 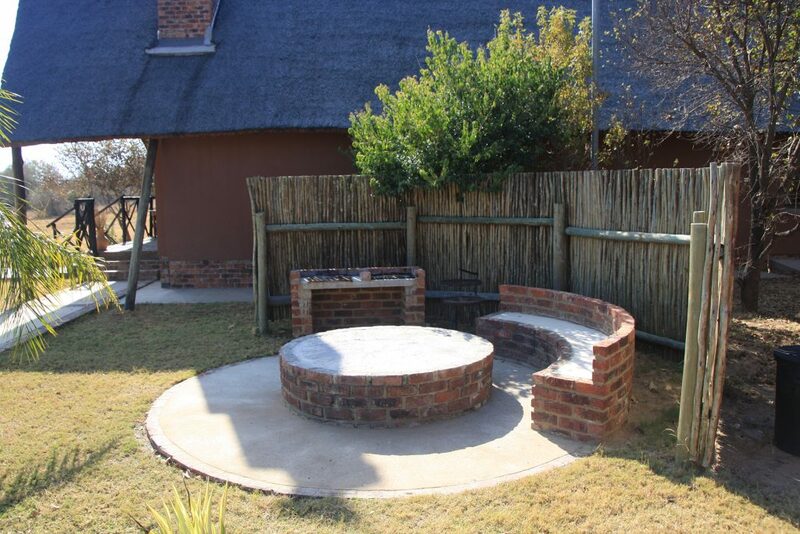 There is a boma/braai area .There is a patio suite overlooking the drinking hole.